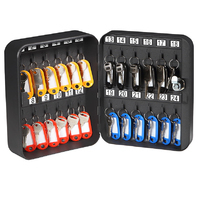 This Honeywell model 6105 steel 24 key security box features 24 key hooks with 24 key rings and tags included. 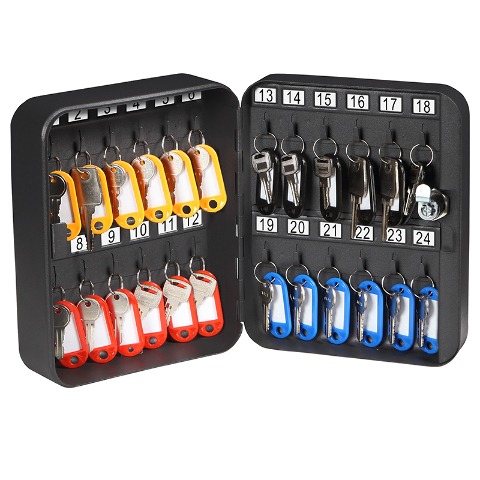 This security box is key locking with 2 entry keys included, has a durable, scratch resistant powder coat finish and pre drilled holes with all mounting hardware and instructions. This Honeywell security box is backed by a 1 year limited warranty.